The U.S. Department of Agriculture says that about 60% of adults in the United States do not consume the estimated average requirement for magnesium. What they don't tell us is that this 60% is based on minimum daily estimates set by the Department of Agriculture are set terribly low, so actually the number is much higher. In the best of times magnesium intake from white processed foods is on the level of starvation of this precious and very necessary mineral. Most Americans are actually malnourished and diseased because of it and because of the toxic loads they carry in their cells and blood. The normal accepted recommended daily dietary amount of magnesium is only 300-400 mg. Many professionals feel this to be a bare minimum. Some would say that 1,000 mg is probably more in the range of what most people need due to stress (measured by cortisol levels) causing magnesium to be dumped into the sweat in increasing quantities. Actually there are all kinds of cellular stresses that drive down magnesium levels including chemical stress. Radiation, chemicals and heavy metals put enormous stress on organs, tissues and cells. Magnesium mediates a good part of our body's ability to deal with and remove such toxic insults. Toxicities actually increase as magnesium levels fall. In plain language that means we have more allergic reactions, come down with the flu more often (never listen or trust anything the World Health Organizations says about the flu for most cases are actually not caused by a virus but by chemical stress), suffer from diabetes (diabetes is largely a result of these toxic stresses combined with overall malnutrition especially magnesium deficiency). Magnesium is the Ultimate Heart Medicine for you will always see deficient cellular magnesium in each and every case of heart disease, stroke, cancer and neurological decline. In the Age of Toxicity we are suffering to live through we are from conception being exposed to poison and increased radiation exposure from medical tests, constant microwave exposure, and strong increases in environmental background radiation that has increased because of the American militaries passion for depleted uranium weapons, which they use on every major battlefield in modern times. Magnesium levels thus fall through the years and it is not easy to reverse this decline. Oral supplementation is chancy at best because high dosages loosen the intestines. My book Transdermal Magnesium Therapy was a landmark medical text in that it presented what is commonly known as magnesium oil and how it can be applied directly to the skin or put into medical baths for transdermal absorption. The second edition of this in print text will be out in late November. Recently the British Journal of Psychiatry published that people with a diet heavy in processed food had a 58% higher risk of depression. What they don't say is that the reason for the depression was lack of dietary magnesium in such diets and that depression can easily and best be treated with magnesium. What they do say is that a "whole food" diet protects against depression because of the combined effect of consuming nutrients from lots of different types of food, rather than the effect of one single nutrient. Though there is a glint of truth to this statement it hides the well-researched reality that it is magnesium levels that provide the key to our mental and emotional states. In today's stressful world magnesium levels get driven further down. Not only does the stress eat up our magnesium stores at an accelerated pace but how we deal with our stress is also telling. For instance it's generally understood that liquor sales spike during an economic slump. According to a recent poll by Gallup Americans are downing more booze – 67% of Americans report that they consume alcohol on a regular basis. Increased alcoholic intake, which happens frequently in times of stress for some people, depletes magnesium in our bodies. Alcohol increases urinary magnesium excretion by as much as 260% above baseline values; this occurs within minutes of ingestion.2 Often by increasing magnesium, the perceived need for alcohol decreases while some of the depression and anxiety are alleviated. Research published in the American Journal of Epidemiology in 2002 shows that when the diets of 2,566 children ages 11-19 were studied, less than 14% of boys and 12% of girls had adequate intakes of magnesium. 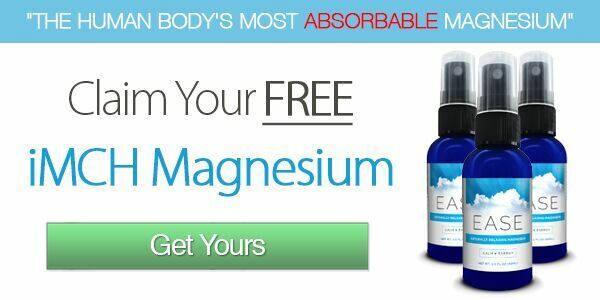 We can actually see the hate and foul viciousness of some of the richest people and companies on earth in this story because the truth and facts about magnesium are well known by researchers around the world. Magnesium is one of the most well studied nutrients and smart doctors reach for it quickly for patients suffering from heart attacks or strokes. We would have an entirely different world if governments got behind magnesium supplementation. People would be healthier and happier, would miss less days of work, would be less stressed and would be able to work harder and enjoy life more. We would also cut the world's medical bill down by a trillion or two dollars. This would upset people like Bill Gates and others like him who want to cut population not increase it. Pharmaceutical companies especially don't want us to know anything about using simple minerals to help depression, reduce violence, reduce stress or stay healthy and out of the doctor's office and out of hospitals. Since the arrival of selective serotonin reuptake inhibitors antidepressants (SSRIs) and atypical antipsychotics on the market, countless studies have shown the so-called "new generation" of psychiatric drugs to be ineffective and dangerous but exceptionally profitable. There is no such thing as a substitute for the mineral magnesium. Worldwide, sales of anti-psychotics went from $263 million in 1986 to $8.6 billion in 2004 and antidepressant sales went from $240 million in 1986 to $11.2 billion in 2004. For these two classes of drugs combined, sales went from $500 million in 1986 to nearly $20 billion in 2004, a 40-fold increase, according to Robert Whitaker, best-selling author of Mad in America.3 And God only knows how high these numbers have climbed to in the year 2010 when stress, mental and emotional disturbances are going off the charts. Police Chief Nannette H. Hegerty of Milwaukee said a few years ago that, "We're seeing a very angry population, and they don't go to fists anymore, they go right to guns," she said. "When we ask, 'Why did you shoot this guy?' it's, 'He bumped into me.' or, 'He looked at my girl the wrong way.'" said Police Commissioner Sylvester M. Johnson of Philadelphia. "It's not like they're riding around doing drive-by shootings. It's arguments – stupid arguments over stupid things." While arguments have always made up a large number of homicides, the police say the trigger point now comes faster. In robberies, Milwaukee's Chief Hegerty said, "Even after the person gives up, the guy with the gun shoots him anyway. We didn't have as much of that before." A marginal deficiency can easily be transformed into a more significant problem when stressful events trigger additional magnesium loss. In the extreme situations stressful events trigger sudden drops of serum magnesium leading to cardiac arrest. Even a mild deficiency of magnesium can cause increased sensitivity to noise, nervousness, irritability, mental depression, confusion, twitching, trembling, apprehension, and insomnia. In recent years we've seen an increase of all kinds of weird violence as magnesium levels are driven lower and lower. Almost every week now we hear reports of people walking into schools in China stabbing teachers and children and in America also mass killings are slaughtering people and there they hide the fact that most of these assaulters are on pharmaceutical medications that drive their magnesium levels to the bottom. I am in no way saying that magnesium is the answer to every problem in the world but it would go a long way to calm people down and reset the trigger points much higher. The World Health Organization (WHO) has recommended drinking water containing 25-50 mg of magnesium (Mg) per liter to prevent deaths from heart attack and stroke. American bottled water contains about 5 mg of Mg per liter, well below the 20 mg/l in the rest of the world's bottled water, according to the WHO. If the WHO was really interested in helping Americans, like they want to help with their dangerous vaccines, they would make sure that the government implemented these kinds of recommendations that would save countless lives. The Department of Family Medicine, Pomeranian Medical Academy, states that dietetic factors can play a significant role in the origin of ADHD and that magnesium deficiency can result in disruptive behavior.4 Even a mild deficiency of magnesium can cause sensitiveness to noise, nervousness, irritability, mental depression, confusion, twitching, trembling, apprehension, and insomnia. A significant number of researchers have shown that as much as 60-90% of illnesses are directly caused or exacerbated by stress. And in fact, numerous studies have shown that stress is related to major illnesses like heart disease, high blood pressure, and diabetes. There is now little question that stress can kill, meaning that magnesium deficiencies can put you in your grave. Harvard physiologist Walter Cannon recognized 90 years ago that when confronted by a threat – physical or emotional, real or imagined – the body responds with a rise in blood pressure, heart rate, muscle tension and breathing rate. We now know that this physiological "stress response" involves hormones and inflammatory chemicals that can foster everything from headaches to heart attacks in overdose. It is clear that magnesium deficiency or imbalance plays a role in the symptoms of mood disorders. Observational and experimental studies have shown an association between magnesium and aggression,5,6,7,8,9 anxiety,10,11,12 ADHD,13,14,15,16 bipolar disorder,17,18 depression,19,20,21,22 and schizophrenia.23,24,25,26 So you tell me who the real terrorists are? The sea is full of magnesium and it is easily sourced and applied orally, transdermally, through IVs and even nebulized directly into the lungs. The effects of magnesium physiological supplementation on hyperactivity in children with ADHD. Mag Res 1997; 10(2):149-56. Izenwasser SE et al. Stimulant-like effects of magnesium on aggression in mice. Pharmacol Biochem Behav 25(6):1195-9, 1986. Henrotte JG. Type A behavior and magnesium metabolism. Magnesium 5:201-10, 1986. Bennett CPW, McEwen LM, McEwen HC, Rose EL. The Shipley Project: treating food allergy to prevent criminal behaviour in community settings. J Nutr Environ Med 8:77-83, 1998. Kirow GK, Birch NJ, Steadman P, Ramsey RG. Plasma magnesium levels in a population of psychiatric patients: correlation with symptoms. Neuropsychobiology 30(2-3):73-8, 1994. Buist RA. Anxiety neurosis: The lactate connection. Int Clin Nutr Rev 5:1-4, 1985. Seelig MS, Berger AR, Spieholz N. Latent tetany and anxiety, marginal Mg deficit, and normocalcemia. Dis Nerv Syst 36:461-5, 1975. Durlach J, Durlach V, Bac P, et al. Magnesium and therapeutics. Magnes Res 7(3/4):313-28, 1994. Durlach J. Clinical aspects of chronic magnesium deficiency, in MS Seelig, Ed. Magnesium in Health and Disease. New York, Spectrum Publications, 1980. Kozielec T, Starobrat-Hermelin B. Assessment of magnesium levels in children with attention deficit hyperactivity disorder (ADHD). Magnes Res 10(2):143-8, 1997. Starobrat-Hermelin B, Kozielec T. The effects of magnesium physiological supplementation on hyperactivity in children with attention deficit hyperactivity disorder (ADHD). Positive response to magnesium oral loading test. Magnes Res 10(2):149-56, 1997. George MS, Rosenstein D, Rubinow DR, et al. CSF magnesium in affective disorder: lack of correlation with clinical course of treatment. Psychiatry Res 51(2):139-46, 1994. Kirov GK, Birch NJ, Steadman P, Ramsey RG. Plasma magnesium levels in a population of psychiatric patients: correlations with symptoms. Neuropsychobiology 1994;30(2-3):73-8, 1994. Frazer A et al. Plasma and erythrocyte electrolytes in affective disorders. J Affect Disord 5(2):103-13, 1983. Bjorum N. Electrolytes in blood in endogenous depression. Acta Psychiatr Scand 48:59-68, 1972. Cade JFJA. A significant elevation of plasma magnesium levels in schizophrenia and depressive states. Med J Aust 1:195-6, 1964. Levine J, Rapoport A, Mashiah M, Dolev E. Serum and cerebrospinal levels of calcium and magnesium in acute versus remitted schizophrenic patients. Neuropsychobiology 33(4):169-72, 1996. Kanofsky JD et al. Is iatrogenic hypomagnesemia common in schizophrenia? Abstract. J Am Coll Nutr 10(5):537, 1991. Kirov GK, Tsachev KN. Magnesium, schizophrenia and manic-depressive disease. Neuropsychobiology 23(2):79-81, 1990. Chhatre SM et al. Serum magnesium levels in schizophrenia. Ind J Med Sci 39(11):259-61, 1985. Banki CM, Vojnik M, Papp Z, Balla KZ, Arato M. Cerebrospinal fluid magnesium and calcium related to amine metabolites, diagnosis, and suicide attempts. Biol Psychiatry. 1985 Feb;20(2):163-71. Dr. Mark Sircus, Ac., OMD, DM (P) (acupuncturist, doctor of oriental and pastoral medicine) is a prolific writer and author of some astounding medical and health-related books. His books are heavily referenced, and for many years Dr. Sircus has been researching into the human condition and into the causes of disease; he has distilled many of the divergent medical systems into a new form of medicine that he has coined Natural Allopathic Medicine.